Be the friend that gives practical and unique newborn baby gifts. The mum to be will love our handmade creations which are both stylish and trendy. 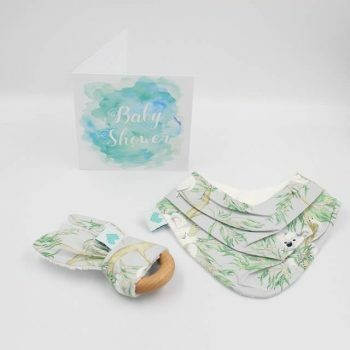 Each set comes gift wrapped and complete with a card, teether and a stylish organic dribble bib.